This bestselling set makes it easy to boost literacy with ABC games and wall displays. 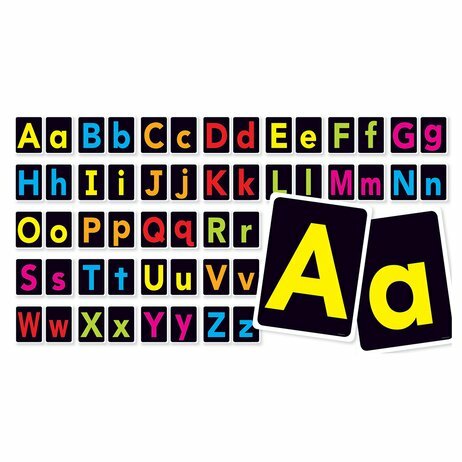 It contains 52 large alphabet cards (26 capital letters and 26 lowercase letters) plus an activity guide. Each card measures 23cm x 30cm.